This instructional session coincided with a project comparing data from two cities for an Urban Studies 1000 level (Freshmen) course. The session provided a basic overview of Simply Map as a web-based application, described the data available within and its origins (Census, American Community Survey, etc. 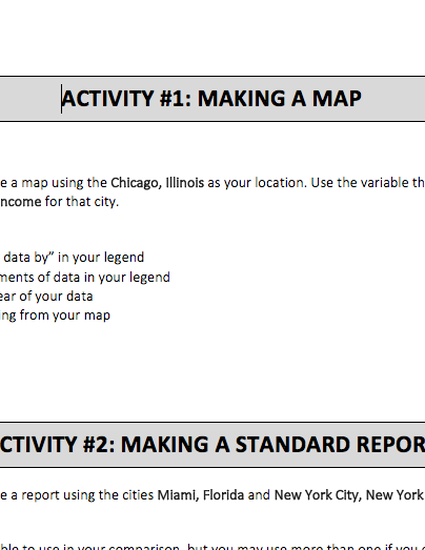 ), two activities for creating and visualizing the data, and supporting materials for understanding the data including a libguide and deliverable handout.